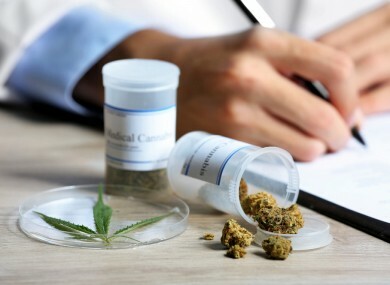 THE OIREACHTAS HEALTH Committee has recommended that medicinal cannabis be paid for by the State and that, pending approval from healthcare authorities, it should be made available to patients as soon as possible. Pending their approval, the committee has recommended that certain cannabidiol products, such as Charlotte’s Web and Epidiolex, be made available to patients as speedily and as cost-effectively as possible. However, a product cannot be approved for medicinal use in patients unless it is first authorised by the Health Products Regulatory Authority (HPRA). At a meeting in November, the Health Committee heard from Vera Twomey, who has been canvassing for medicinal cannabis to be made available after it had a positive effect on her daughter Ava, who suffers from a rare form of epilepsy called Dravet’s Syndrome. Also at that meeting, the chief executive of the HPRA told Committee members that Minister for Health Simon Harris had petitioned the body to conduct a swift review on how medicinal cannabis could be approved and safely made available to patients. A bill put forth to legalise medicinal cannabis by AAA-PBP’s Gino Kenny and Richard Boyd Barrett was passed in the Dáil after the government chose not to oppose the proposals. In the Health Committee report’s recommendations, they do point out that they are contingent on the report from the HPRA but cater for different scenarios. In the event that high-CBD products, such as Charlotte’s Web or Epidiolex, can be authorised as medicines, the Committee said that any practical matters around authorisation, supply and prescription should be “pursued as speedily as possible”. Regarding THC, the ingredient of cannabis which gives the ‘high’ but which has also been cited as more effective in treating some illnesses, the Committee had two recommendations depending on the view that the HPRA takes on the issue. If the HPRA takes the view that there is not yet enough evidence of its efficacy and safety, the Committee recommends revisiting the topic at a later stage. If the HPRA were to take a positive view, however, they recommend standardising the levels of cannabinoids in products to prevent the leakage of supply to recreational markets. The report also recommends the long-term tracking of medicinal cannabis users in Ireland so that research can be done to contribute “to the global store of medical knowledge of cannabinoids”. Earlier this month, the UK’s equivalent of the HPRA, the Medicines and Healthcare Products Regulatory Agency (MHRA), officially classed CBD used for medicinal purposes as a medicine. Email “'Medicinal cannabis could be made free of charge'”. Feedback on “'Medicinal cannabis could be made free of charge'”.